Construction will start in January on a 2.5-mile expansion of the project that will push the line mostly to the west while also adding a half-mile to the east. It is projected to open in 2020. 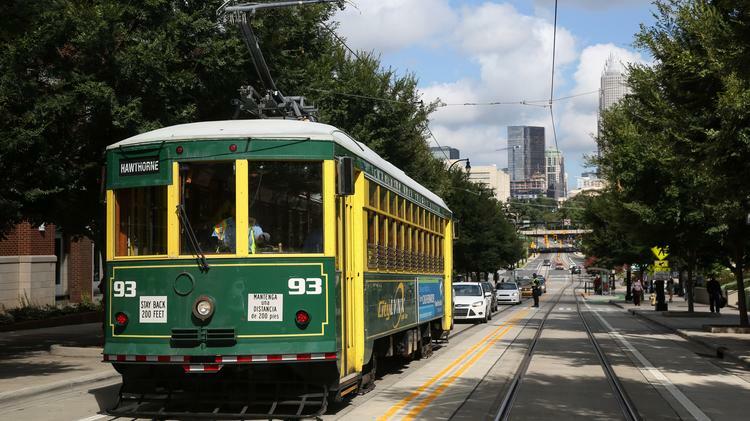 Known as the CityLynx Gold Line, the streetcar is part of the long-range transit investment plan but, to date, has been paid for with city government money. The entire line will span 10 miles and connect the east and west sides of Charlotte through uptown. Total cost will be at least $500 million. A 1.5-mile segment from the Elizabeth neighborhood into uptown opened in July 2015. It cost $37 million, which is much cheaper than any of the other segments will be, because of existing infrastructure. Of that amount, $25 million came from a federal grant. Next up is phase two, taking the existing end point at the uptown transportation center and extending it through uptown to Johnson C. Smith University. At the opposite end of the line — now at Presbyterian Medical Center — expansion will take it a half-mile farther to Sunnyside Avenue. Total cost is $150 million. When subsequent phases will be built, the scope of those phases and funding all remain uncertain. During the first year of service along the 1.5-mile portion, daily average weekday ridership was 1,601, 78% above transit system projections. But those better-than-expected numbers also came during a time when rides were free. Once the line grows to 4 miles in 2020, all riders will pay full CATS fares — currently $2.20. Original story posted on Charlotte Business Journal by Eric Spanberg.